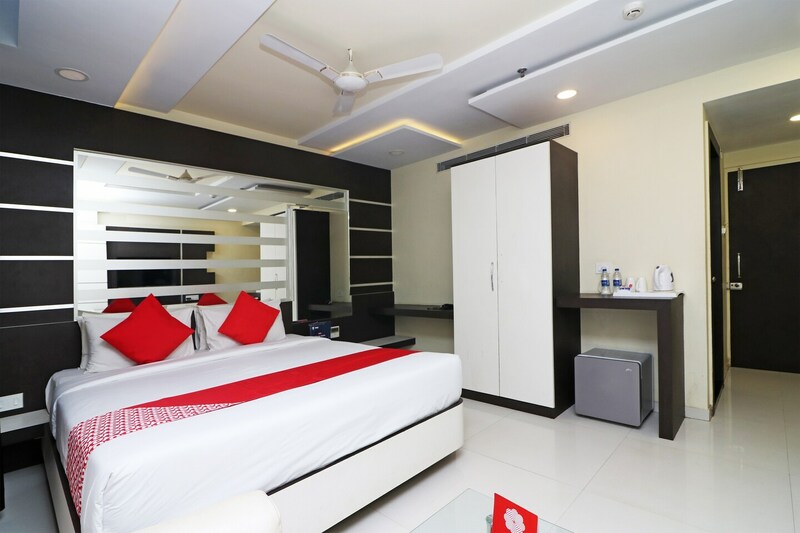 Hotel Ambalika is modern and beautifully designed hotel that comes with spacious, comfortable rooms, and is located on NH 116B, in Digha. The hotel is sea-shore facing so you can enjoy the view and the warm sea breeze from the hotel itself. It is very close to Digha Flag Railway Station, Amarabati Park, and New Digha Beach. The hotel has aesthetic interiors with a water feature in the courtyard and a serene Buddha statue. A simple yet elegant colour scheme and stylishly lit pillars add to the beauty of the interiors. The lobby is trendy and boasts of plush seating. There is a large conference room and banquet hall on the premises. The in-house dining space is expansive and feature floor to ceiling glass windows to bring in ample sunlight. All the rooms are large, done up in soothing tones, and have modern layouts. The bathrooms also feature chic tiles and the latest fixtures. All the rooms feature an air conditioner, a king sized bed, a mini fridge, and a television. The washrooms feature geysers. Guests are offered free Wi-Fi and CCTV security. Food joints like Hotel Sonar Bangla, Seven Star Restaurant, Wow Momo, Pabitra Restaurant and Biryani House are close by.